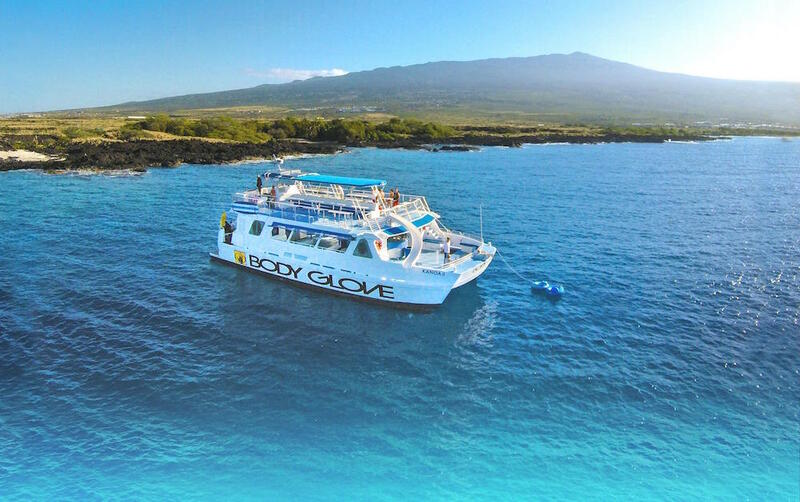 From the beautiful Kailua Kona, Body Glove Cruises welcomes around 100 passengers a day on their 65’ catamaran, The Kanoa II. Popular with locals and tourists alike, Body Glove offers whale watching, snorkeling and scuba diving tours throughout the day, and sunset dinner cruises in the evening. Like many boat tours and cruises, Body Glove’s main challenge in accepting reservations was efficiently checking-in the large amount of passengers boarding the catamaran at the start of each tour. With their previous reservation system, processing such a high volume of guests in a matter of minutes simply wasn’t possible. It resulted in late check-ins, long lines and decreased customer satisfaction. After switching to FareHarbor, Body Glove was able to dramatically reduce wait times by allowing customers to securely book and pay online. By the time guests reached the boat dock, a simple check-in was the only task left to handle. To further enhance the booking process, Body Glove utilized FareHarbor’s unique ability to customize each individual activity’s booking options. An essential feature for companies that allow guests to research and book several different activities from the same website, it allowed Body Glove to set up each activity with its own unique check-out. For Body Glove, this meant creating a custom online availability calendar for each of their tours – whale watching, dinner cruise and snorkeling – and using it to collect relevant information from within the booking form. During the check-out, people booking a snorkeling trip were asked if they were interested in scuba, while those booking a dinner cruise were advised to call in advance for vegetarian options. The end result: a unique and personalized experience for each individual booking.